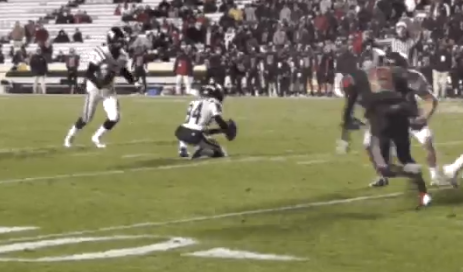 Oregon has a new place kicker coming to town, and for a lot of fans it is none too soon. Chip Kelly has often made a decision to go for broke on fourth down, the reasoning of which has been unclear at times. I used to think that he believed the odds were in his favor when he would forgo the field goal attempt, but after the USC game in 2011 and the Stanford game in 2012, it is reasonable to conclude that perhaps it’s because Oregon’s kicking game has been less than stellar. Regardless, a great place kicker is a potent weapon in a close game and Oregon now has help on the way in North Carolina high school senior Matt Wogan. Many experts consider Wogan to have the strongest leg in the country among high school kickers. Consider that his longest field goal, in a kicking competition, measured 65 yards. In the recent North Carolina 4A State Championship semi-final game against North Davidson Wogan kicked two field goals; the first one was 58 yards followed up by a successful 49 yard attempt. The win led Porter Ridge to the State Championship game where they eventually lost 39-38. 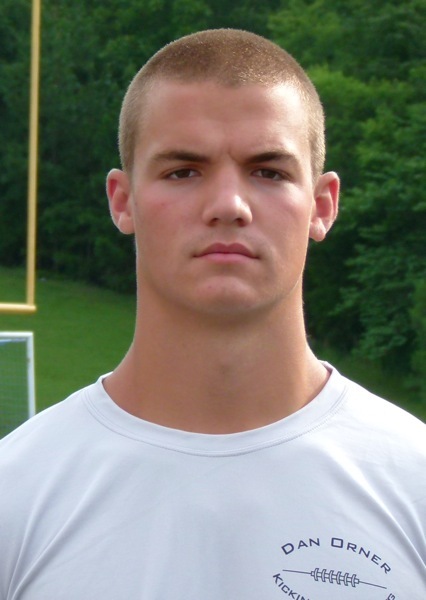 Wogan had one FG attempt, which succeeded from 26 yards. Porter Ridge head coach Blair Hardin in an article on Inside Carolina had this to say about his star kicker. In June of 2012 Wogan visited Oregon to participate in a kicking camp. After hitting a 60-yard field goal to win a kicking contest Chip Kelly invited him up to his office where he told him that Oregon would like to offer him a scholarship. A visit with his family after returning home sealed the deal. Wogan will arrive in the fall of 2013. As you would expect, Wogan’s strong leg is a weapon on kickoffs too. Oregon has struggled with kickoff coverage for much of the season. Lacking a kicker that can consistently put the ball in the end zone has resulted in teams getting great field position after Oregon scores. Matt’s kicks consistently exceed 70 yards and 85% are not returned. Matt Wogan is more then just a kicker though. Here are some things you may not know about him. He is a great student. Matt has a 4.1 grade point average with a schedule that includes advanced placement and honors courses. He is physical. Very physical. In addition to kicking, Matt helped out his team by serving as the as the starting Tight End. And he likes to hit. In fact it was the consistent flashing of red-cards being directed his way during soccer games that lead him to move to the football field in 8th grade. At 6’2″ Wogan can bench press 200 pounds and is praised by his coach as a hard worker who loves the weight room. As if all this wasn’t enough, Matt Wogan is also a punter. A place kicker who can punt is valuable. This can free up a spot on traveling rosters for another player since a separate back up punter is not needed. High school kicking guru Chris Sailer considers Wogan to be the strongest place-kicker and the second best kicker overall. Sailer also ranks him as the #7 high school punting prospect. In a recent playoff game Wogan punted twice-both kicks of 53 yards. He loves to hunt and fish and finds Oregon the perfect playground for these activities.